The residence of DMK leader Kanimozhi who is contesting from the Thoothukudi constituency in Tamil Nadu was raided on Tuesday. Thus the leader slammed the BJP. Meanwhile, the Trinamool supremo Mamata Banerjee on Wednesday came out in support of DMK leader Kanimozhi and said that Prime Minister Narendra Modi is trying to threaten the opposition parties. She claimed that Kanimozhi is being harassed as DMK is opposed to BJP’s divisive politics in south India. 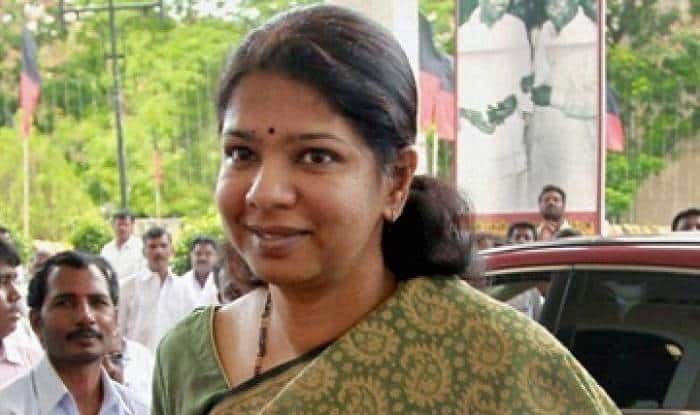 DMK leader Kanimozhi is contesting from the Thoothukudi constituency in Tamil Nadu for the Lok Sabha polls on April 18. DMK president MK Stalin at Chennai said that the raids were an outcome of ‘fear of a damning defeat,’ for BJP’s candidate Tamilisai Soundararajan in Thoothukudi.